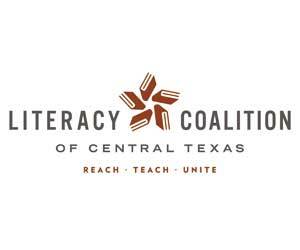 Founded in 2000, the Literacy Coalition of Central Texas is a nonprofit organization that strengthens a network of over 70 programs in Central Texas that provide instruction in adult and children’s literacy, workforce literacy, English as a Second Language, financial literacy, health literacy, and more. We are dedicated to supporting and expanding literacy services so that businesses can hire, people can work, and families can thrive in the 5-county region that includes Bastrop, Caldwell, Hays, Travis, and Williamson Counties. We play a central role in coordinating and sustaining high-quality literacy services by training ESL and other classroom instructors, providing volunteer coordination and referral, developing computer literacy program curricula, and advocating for literacy needs at the municipal and state political level.